Nothing says "I'm winning at life!" like an official SPARKcon t-shirt! Your savvy fashion sense will impress strangers everywhere you go! Be the coolest person at Target in these snazzy threads! Every year you ask for t-shirts, and this year we are excited to deliver! 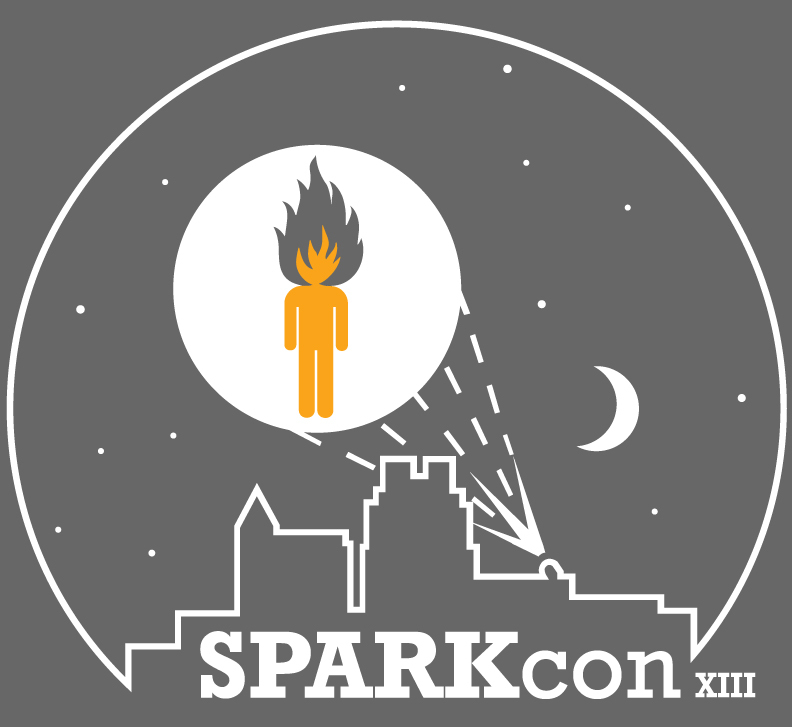 SPARKcon t-shirts are available for PRE-ORDER ONLY! That means if you go ahead and purchase your shirt by September 2, it will be waiting for you at the SPARKcon info tent during the festival! Buttons are like bumper stickers for your clothes! Tell the world what matters to you with a super snazzy 3.5" pin-on button featuring Sparky! Order now and your button will be waiting for you at the SPARKcon info tent during the festival! YASSS! I NEED THIS BUTTON!